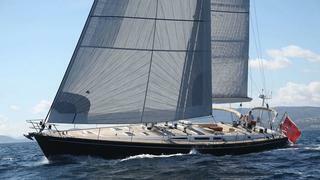 Luxury sailing yacht _Far II Kind _is being offered at the low season rate of €19,000 in July and August. The 22 metre yacht still has some availability during the summer months in the Mediterranean. Far II Kind was built in 1996 and is a Farr 72 model from the Southern Wind Shipyard. The model was designed by Bruce Farr, for the naval architecture and by the Italian interior designer Antonio Minniti. She has a cruising speed of 8 knots and a maximum speed of 10 knots. Charter yacht Far II Kind can accommodate six guests in three cabins which consist of one master cabin, one VIP cabin and one bunk cabin. Captain Will Glenn and Chef Claudia Pack are both keen sailors and experienced in providing immaculate service for charter guests. An additional crew member can also be requested if required. Far II Kind’s toybox includes a tow donut and children’s waterskiing, wakeboarding and fishing equipment. Her leisure and entertainment facilities mean that is a great charter yacht for entertaining with family and friends. Far II Kind is normally available for charter through July and August for €21,000 per week, with Ocean Independence.